Next week the Great British Beer Festival opens in London and Beer et seq will be there, starting with the trade session on Tuesday. A series of beers will be awarded gold, silver, and bronze prizes in a long series of preliminary voting and regional heats that culminates in final voting during the annual festival. Only one beer can win Champion Beer of Britain, and breaths will be bated to see who gets the palm, and in what category (e.g., a specialty beer, vanilla-flavoured, won a couple of years ago). Beers have been tasted and judged in formal and less formal settings probably since the first brews of Egyptians and Mesopotamians thousands of years ago. In the 1800s beers were judged often in international exhibitions, some of which I’ve discussed earlier, and this continued through the 20th century and still takes place. But in New York in 1877 a great beer festival was organized, not by consumers as in the CAMRA case, but by brewers and saloon-keepers to taste and judge the nation’s best beers. Still, in many ways it was analogous to CAMRA’s great festival approaching. Indeed some elements seem to have exceeded today’s affair, especially the processional tour by a richly-costumed King Gambrinus and retinue that announced the opening of the event. It was held at 28-30 Avenue A, East Village, a German social centre at the time. 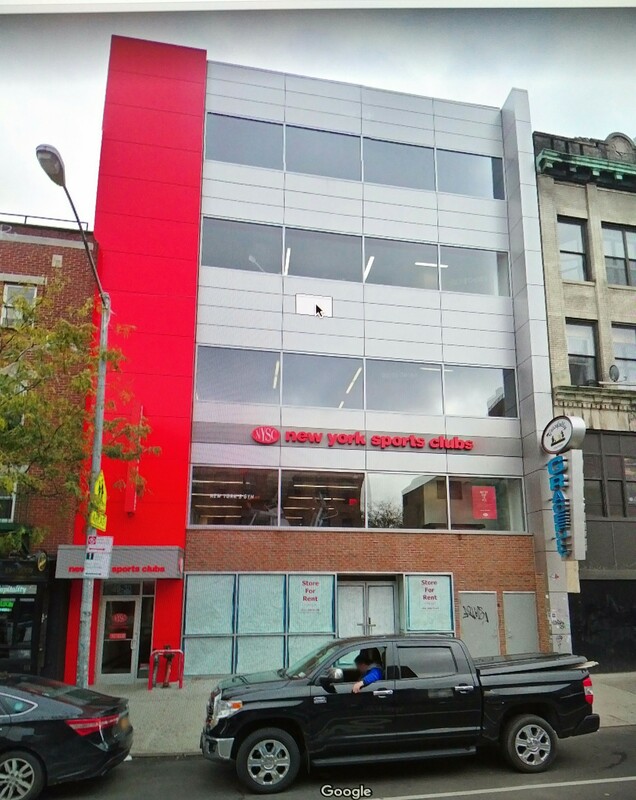 Today, the building is a sports club in the ever-gentrifying Alphabet City. Rather than describe the event here, read two key period accounts and you will know everything apparently reported at the time. The first, here, is a news report of July 17, 1877 in the New York Herald. The second, from July 20, 1877 in New York’s The Sun, announced the results of the votes. It seems no one winner was announced but rather three breweries shared the honours, one was Joseph Kuntz who operated from the 1860s-1920 in the Bronx, NY. A raft of also-rans was also named for second prizes. Many of the names are remembered today, e.g., Eichler, Schaefer, Peter Doelger. Each of the three, first-prize breweries probably got highest score for one of the three criteria, taste, colour, condition. Some reputed brewers did not participate, New York’s well-known Ehrets was one. It seemed mostly a lager affair as well, hence the likely reason for the absence of reputed names such as Ballantine for its ales. (Ballantine did not brew lager until about 1910). Brewers participated from as far afield as Cincinnati and Milwaukee. All barrels were supposed to be disguised by canvas wraps. 25 cents entitled the public to six glasses of beer and one voting slip in which preference was indicated for three criteria: colour, taste, and condition. You could buy as many tickets as you liked. One man bought eleven dollars worth! Given reports of some consumption then, e.g. 30 glasses a day or more, this is not fanciful, and he probably bought beer for a female or other companion. The idea not to limit votes seems to have opened the door to manipulation although if everything was truly tasted blind the results should have been fair. The real risk, as noted in The Sun’s report, was brewers or their friends pumping the votes for what they knew in truth as their beer. In other words, a way was found, some alleged, to rig the results. Be that as it may, all clearly had a raucous time including the many women who participated. The German ethos of family drinking probably encouraged female attendance, but perhaps the urban, democratizing environment of the big city had something to do with it, too. 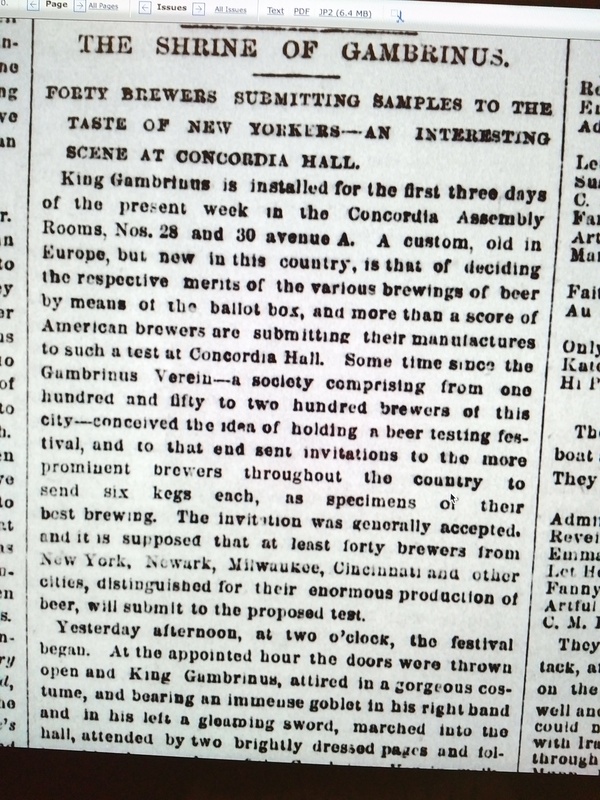 The fact that the vote slips were in German shows how ethnic lager beer still was in New York as late as 1877. The building shown below, at 28-30 Avenue A, Manhattan, is the same structure in which the tasting was held but was modified after a fire c.1960. It was originally five stories and the original facade was replaced for the present use and previous one, a furniture store. We should do a festival the same way today. I volunteer for King Gambrinus’ role.